Intertwined with the history of Mount Zion Hospital and Medical Center, Mount Zion Health Fund’s grantmaking focus has evolved over the years since the Fund was originally established. Prior to 1990, philanthropic gifts to support activities at Mount Zion Hospital were received and utilized directly by the hospital. In 1990, as part of an integration agreement with the University of California at San Francisco, Mount Zion Health Systems, Inc. was established and took responsibility for managing and distributing philanthropic funds given historically for the Mount Zion Campus. With an original endowment of approximately $20 million, income in the early years was used to support core needs of the hospital, such as assistance for Russian emigres’ health care needs, the chaplaincy program, and specialized medical equipment. Over time, as the endowment more than doubled through philanthropic contributions and investment growth, MZHF’s leadership recognized an expanded capacity to meet health needs in the community. In the mid-1990s, the Board undertook a strategic planning process to review the mission and vision of the organization. As a result, the board decided to take a more active role in community health grantmaking, and changed the organization’s name to Mount Zion Health Fund to better reflect its grantmaking focus. Consistent with its new mission, MZHF increased its grantmaking to the general San Francisco community, while still providing significant support for exciting new projects at the UCSF Mount Zion Campus. In 2005, the MZHF Board of Directors voted to become a supporting foundation of the Jewish Community Federation and Endowment Fund to increase operational efficiency, and thus increase funds available for grantmaking. For several years MZHF continued to support a wide variety of community-based nonprofit organizations addressing health concerns within San Francisco, along with significant Mount Zion Campus activity in the areas of patient care, education and research. In 2018, MZHF completed a strategic planning process which evaluated its mission, values, and grantmaking. 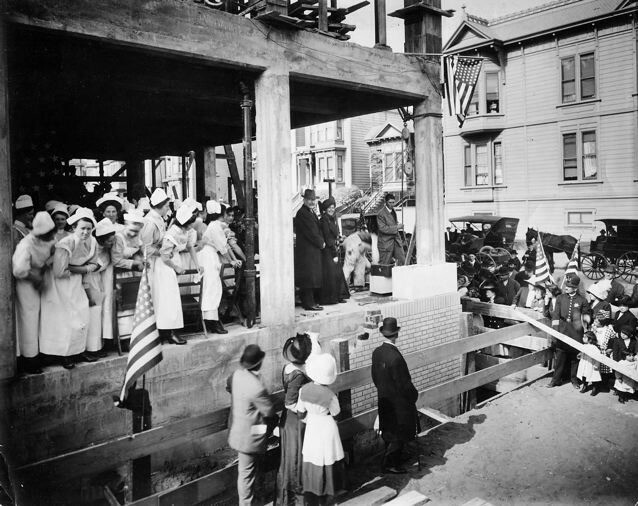 The process affirmed the core commitments at the heart of the Fund: supporting health needs in San Francisco, focusing on the unique institution of UCSF Mount Zion, honoring the Jewish legacy of Mount Zion Hospital, and advancing the health of the underserved.